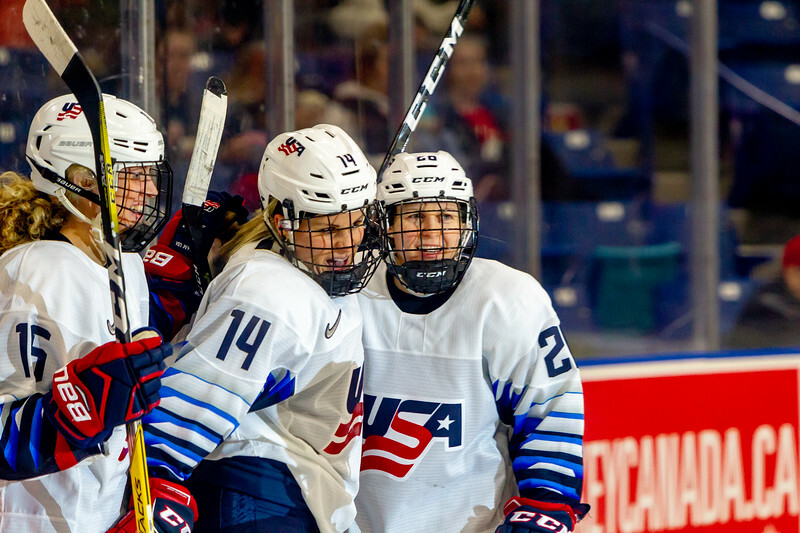 November 10, 2018 - Saskatoon, SK - Team Canada and Team USA played for the Gold medal at the 2018 Four Nations Cup at SaskTel Centre in Saskatoon, SK. 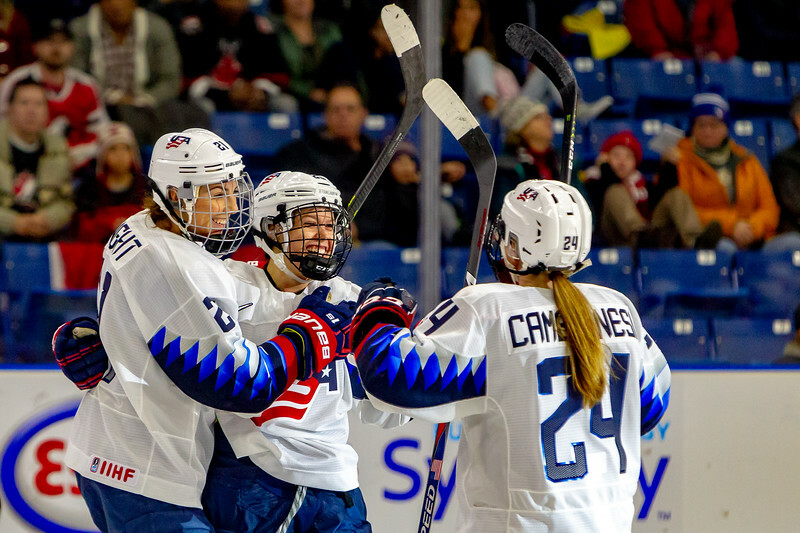 USA won the gold beating Canada with a final score of 5-2. 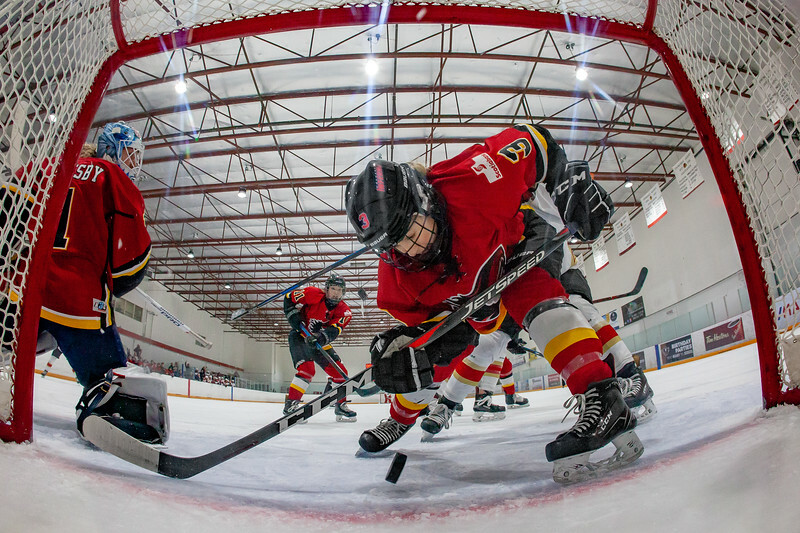 February 24, 2019 - Calgary, AB - Team Canada's Nicholas Poloniato at the start of the second heat during Men's Four Man Bobsleigh World Cup competition at the Winsport track in Calgary. 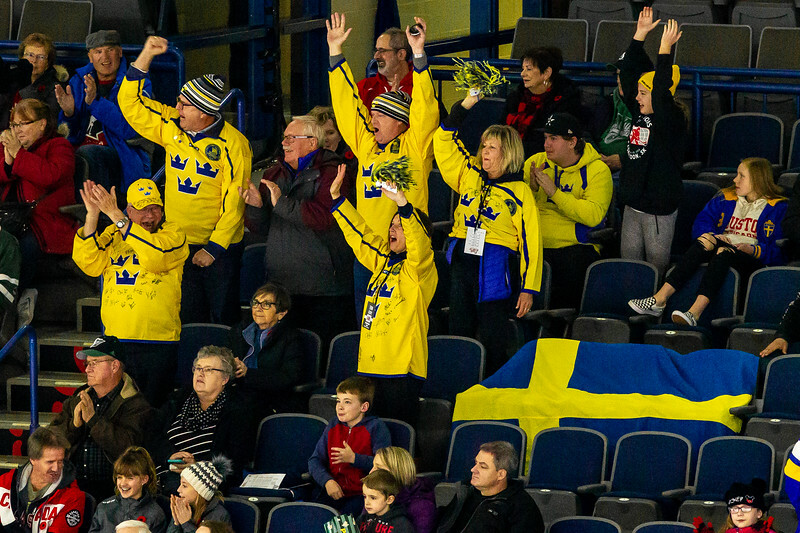 November 10, 2018 - Saskatoon, SK - Team Sweden fans who travelled to Saskatoon/Canada celebrate during Sweden's second goal. 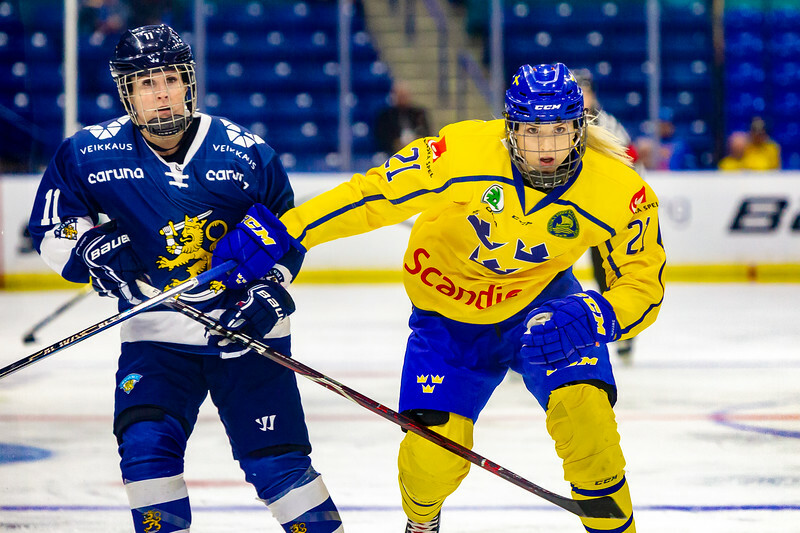 November 10, 2018 - Saskatoon, SK - Annina Rajahuhta of Finland and Sweden's Isabell Palm during action at Bronze medal game of the Four Nations Cup. 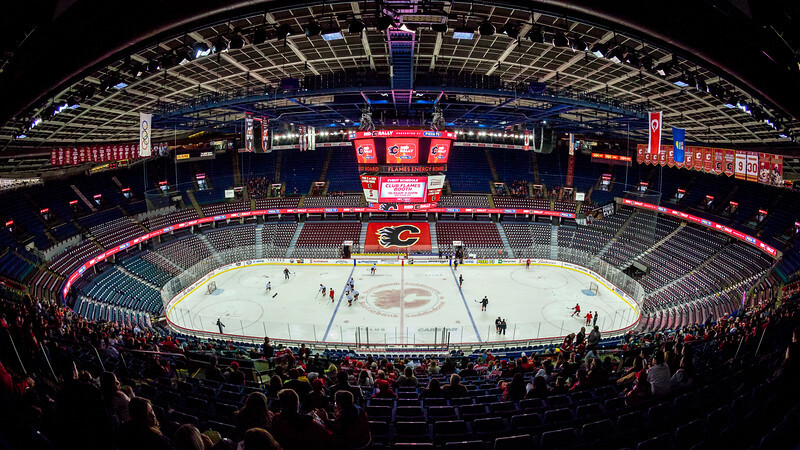 January 22, 2019 - Calgary, Alberta - The KRS Vanke Rays visited Calgary to play the Inferno at the Crowchild Twin Arenas in Calgary. 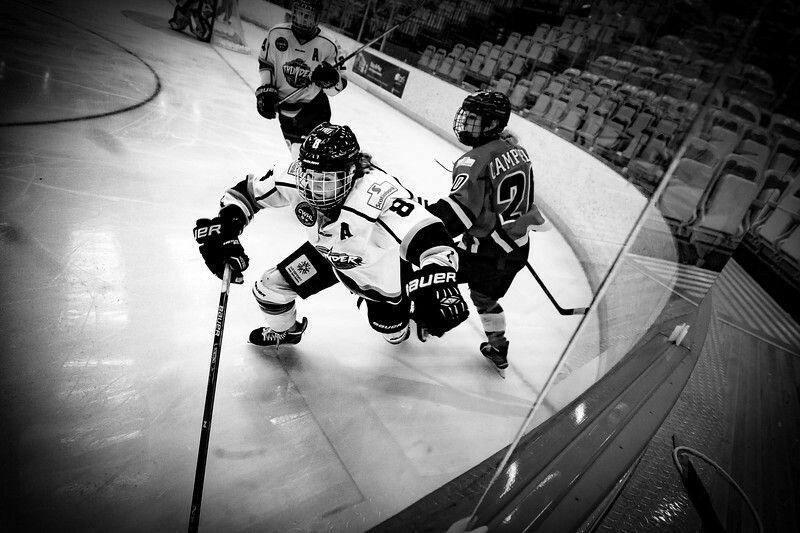 Inferno defender Tori Hickel stops the puck from crossing the goal line. 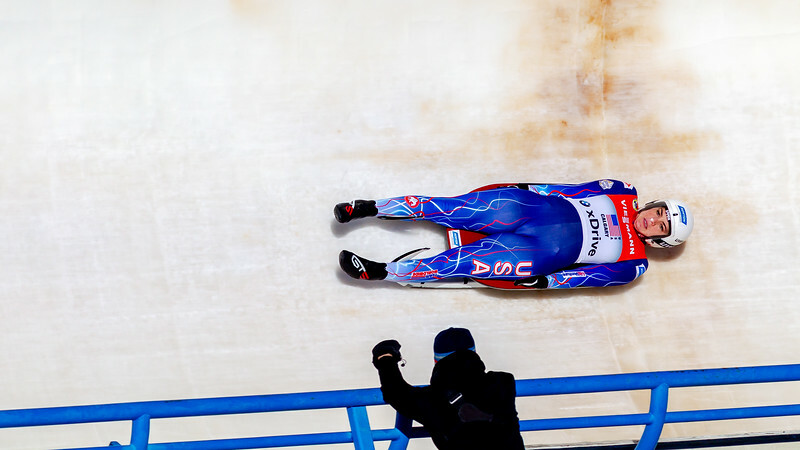 December 8,2018 - Calgary, AB - Jayson Terdiman and Chris Mazdzer of Team USA during Viessmann Team Relay World Cup competition at the Winsport Sliding Track. 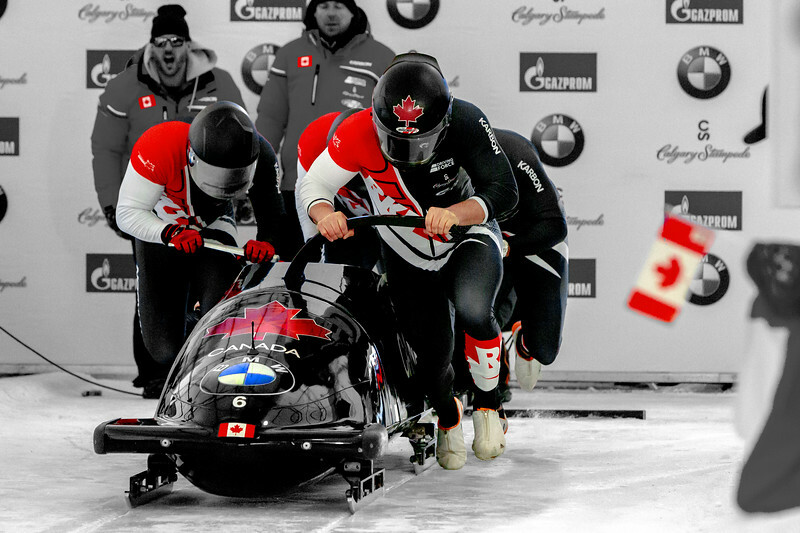 February 24, 2019 - Calgary, AB - Men's Four Man Bobsleigh World Cup competition at the Winsport Track. 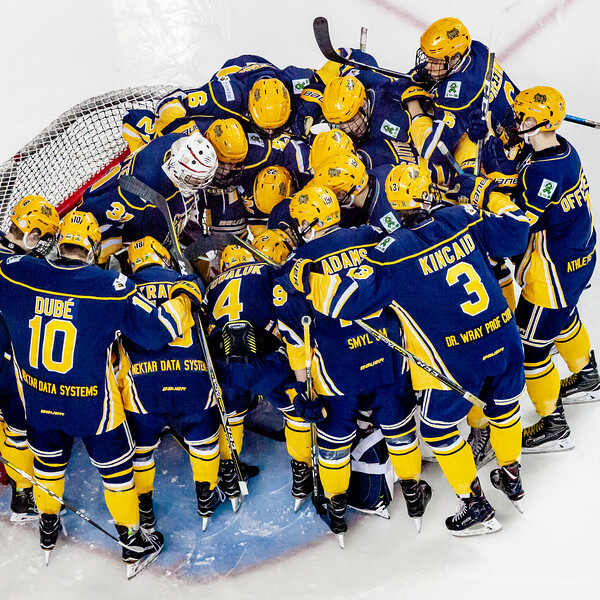 Team Germany's Johannes Lochner sled celebreate their second heat run, which would place them 3rd overall, with Team Germany sweeping the podium in Calgary. 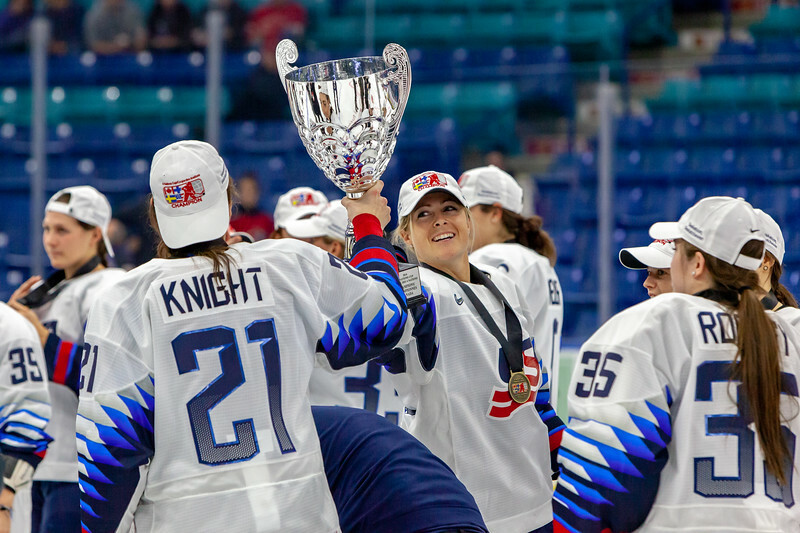 November 10, 2018 - Saskatoon, SK - Gigi Marvin hands the 2018 Four Nations Cup Trophy to teammate Hilary Knight. 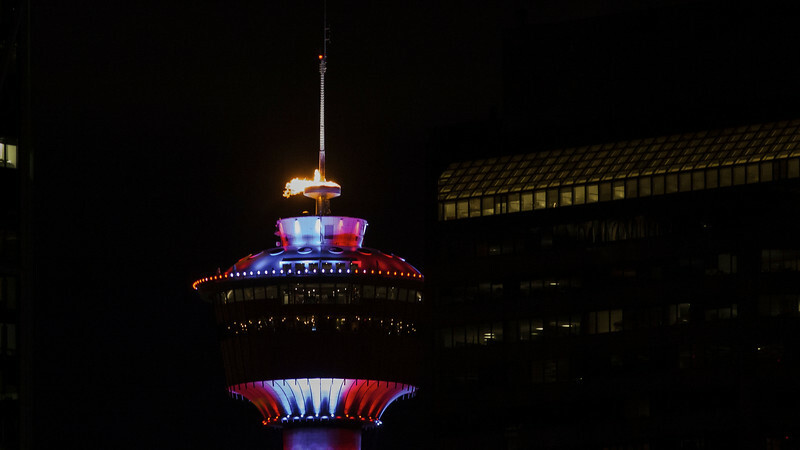 CALGARY(AB) August 11, 2016 - The Calgary Tower was lit in Canada's Red and White after Penny Oleksiak and Team Canada won gold during the 2016 Rio Olympics. 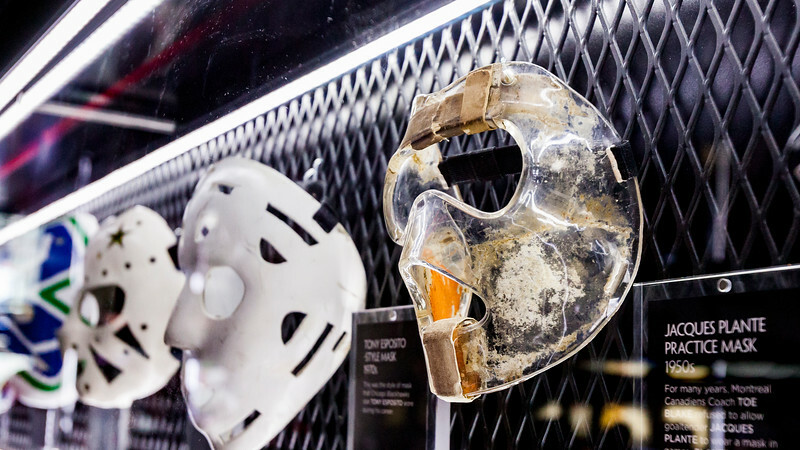 January 1, 2019 - Calgary, AB. 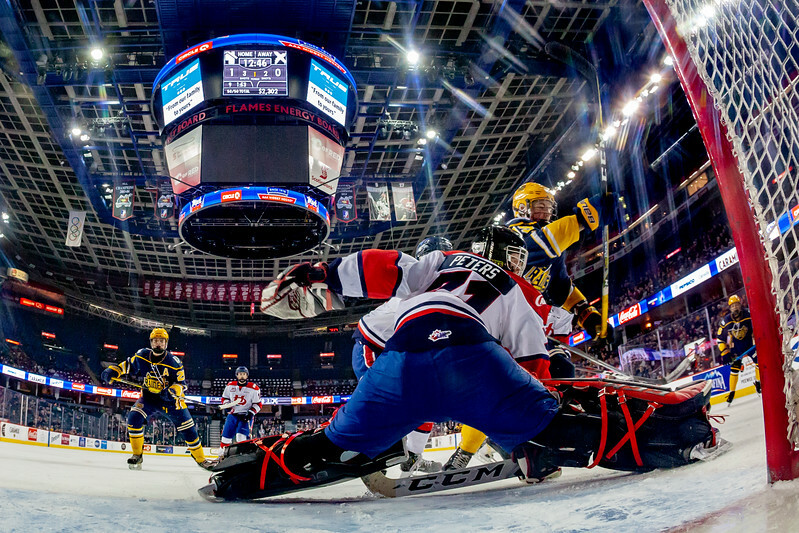 The St.Albert Nektar Data Systems Raiders and the Lethbridge Hurricanes at the Mac's AAA Midget Hockey Tournament Male Division Championship final played at the Scotiabank Saddledome. 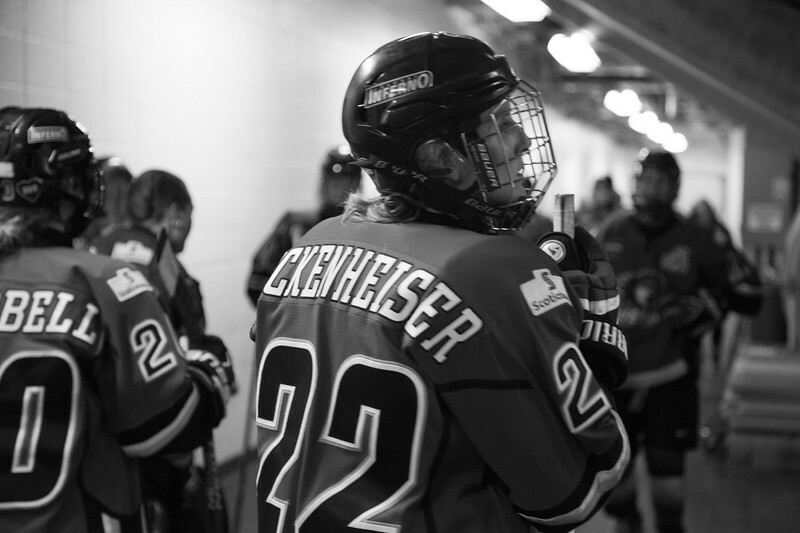 CALGARY(AB) February 26, 2016 - Hayley Wickenheiser of the Calgary Inferno prior to taking to the ice during Game 1 of the Canadian Womens Hockey League (CWHL) Semi-Finals. 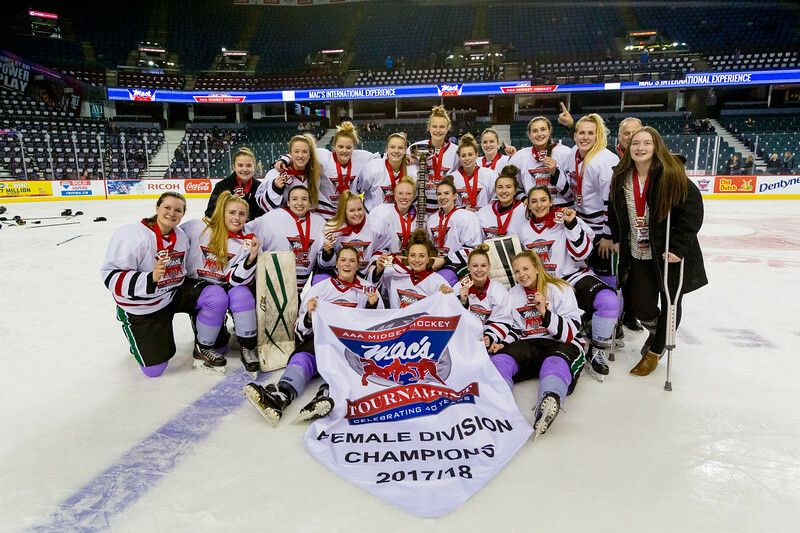 Hayley would score the first goal of the series, and the Inferno would go on to win the best-of-three series against the Brampton Thunder and advance to the Clarkson Cup Final to be held in Ottawa on March 13, 2016. 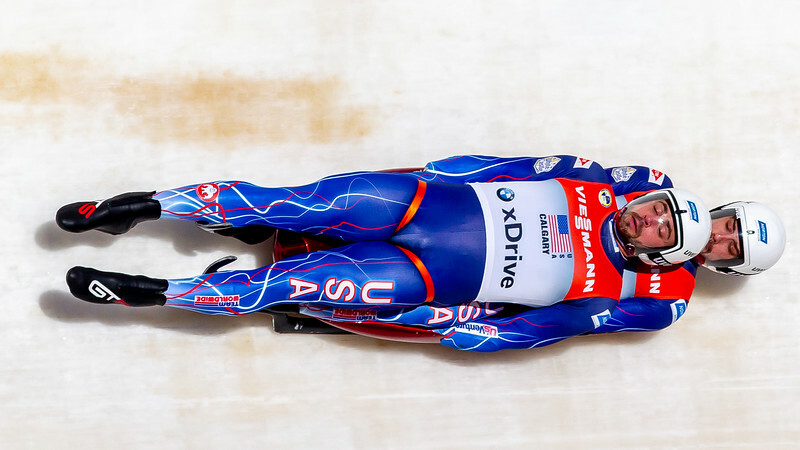 December 8,2018 - Calgary, AB - Summer Britcher of Team USA during Viessmann Team Relay World Cup competition at the Winsport Sliding Track.